Porter Wright adds strength to its Cincinnati litigation team by welcoming Brian Augustine to the firm as a partner. Augustine focuses his practice on business litigation, transportation law, cargo claims litigation and the defense of catastrophic injury claims. He advises motor carriers, third party logistics providers and national shippers on business, regulatory and liability matters. 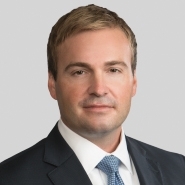 He has served as lead counsel in a wide range of matters in state and federal courts including Carmack Amendment claims, broker-shipper-carrier disputes, catastrophic trucking accidents, non-competition and trade secret litigation, contract disputes, product liability and premises liability claims. He also has years of experience planning and coordinating emergency responses and conducting crisis management for industrial and transportation incidents. His experience crosses all facets of litigation; from emergency response to early case assessment to discovery and trial, to alternative dispute resolution through mediation and arbitration. “Brian is a strong addition to our Cincinnati litigation team,” said David Croall, partner-in-charge of the Cincinnati office. "His legal experience, particularly in the area of business and transportation litigation, will be a great asset as we continue to provide exceptional service and value to our clients in Greater Cincinnati." Augustine is recognized by The Best Lawyers in America®, in Transportation Law, and Ohio Super Lawyers® - Rising Stars Edition. He earned his J.D. from Chicago-Kent College of Law, and received his B.A. from the University of Michigan.